I love the colours you’ve chosen. did you use your dominant color in the squares? please note when it’s necessary to use dominant color. thank you. I assume the final round of your grannies is done in your main color since it is a neutral. I just want to make sure I am correct before I go further. I didn’t expect the chain 2 at corners. I expected chain 3. Interesting. I love your color choices. 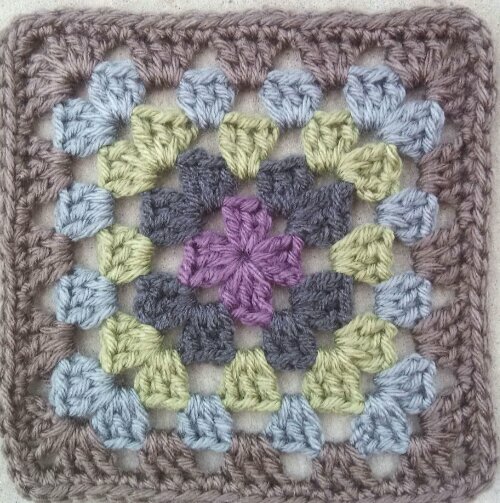 i really wanted to partake in this CAL, but I am doing the Crochet Mood Blanket, as well as the Moogly CAL, during my last semester in my psych degree… Alas, I have realized that I may have bit off I will loyally follow you in hopes of being able to do it at a later date. 🙂 I look forward to progress! If we were to make the squares approx 6″, what is the finished dimensions? This will be an average size throw somewhere in the neighborhood of 4 x 6. The exact final dimensions have not been calculated. Hey Beatrice . 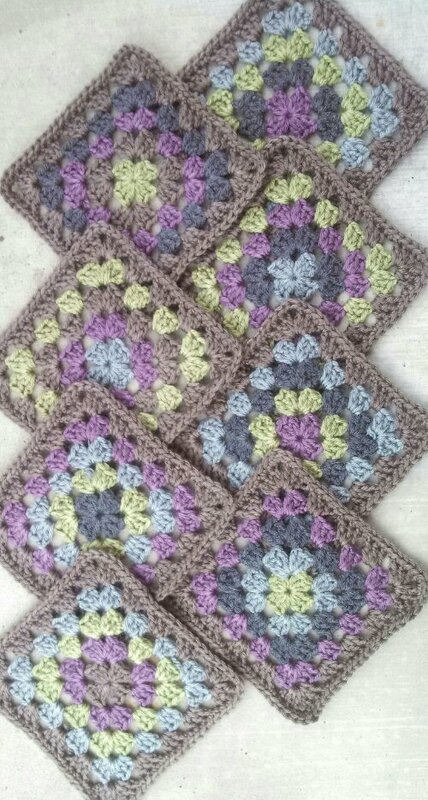 . . this is my first time working with granny squares and also my first afghan as well as my first crochet along . . . so many firsts!! Anyhow . . .what size hook would you suggest using? Thanks so much for your help! This pattern calls for an I Hook… So happy you are giving it a try!! I found the first week of the crochet along! Thanks! Manda!